Well, well, well... yes I am back! Guess that being busy with my business and some other things keeps me away from updating my blog. Oh, how I miss writing and sharing my adventures with you guys. Honestly, I've been trying to write and update this site months ago, but I guess... things that make me busy and happy will not be a good excuse. It's just the time... I have no enough time to think for my mind is occupied always with fruits and delivery, yes, I've ventured to a new business dealing with fruits... I just love this biz so much... (I'll tell you about it soon) For now, I want to share with you some of our fave dining places that I guess i haven't shared with you yet. 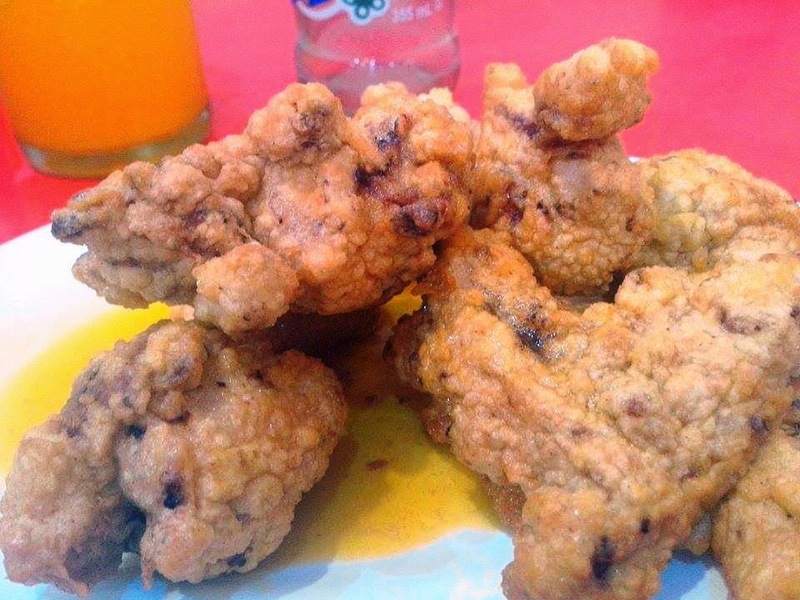 Do you know that Estero Fast Food in Binondo is a haven for foodies like us. We always eat here if we happened to passed by the area. For some unknown reasons, I did not have the chance to share it with you guys back then. The place is not that appealing for it is located literally beside the estero and sorry, I was not able to take pictures of the entire place for we are very hungry and was able to capture only the food that hubby and I ordered. 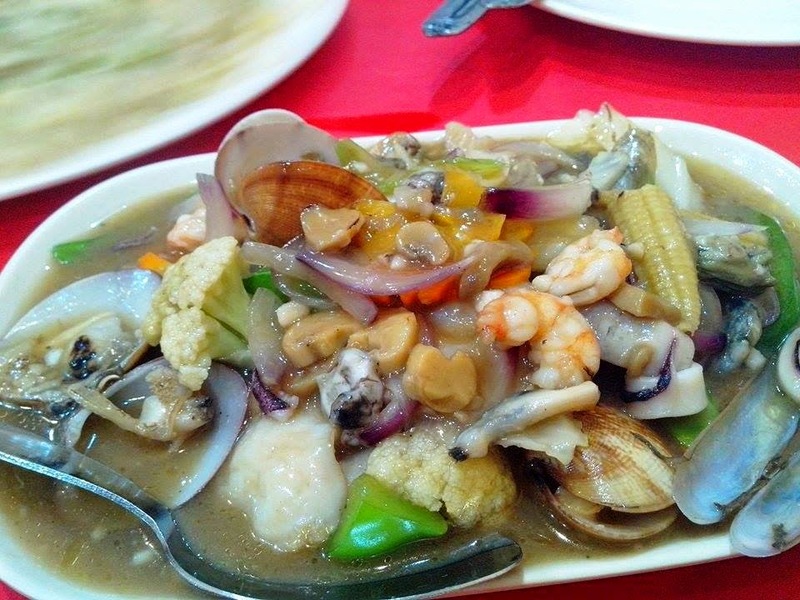 We always order this, I love the taste of their fresh seafoods with my fave veggies... the best! 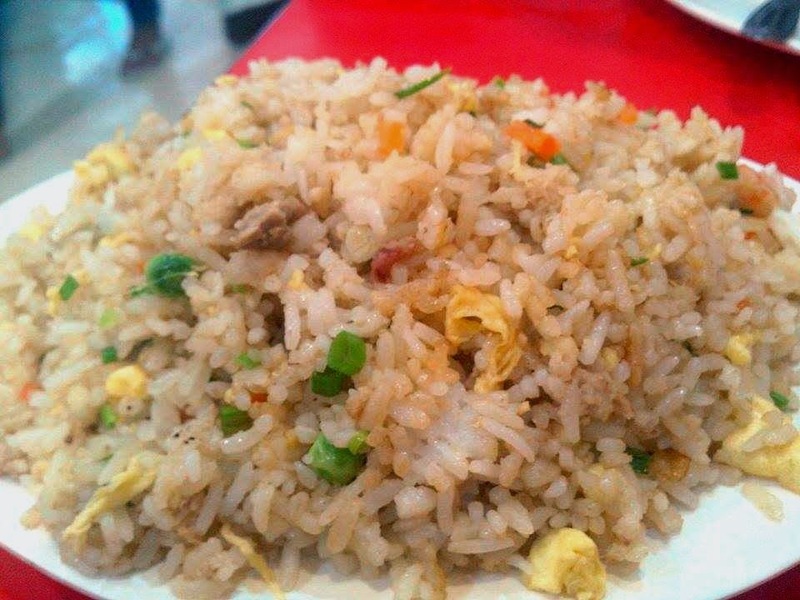 Since we're just two eating lunch that day... we were so full even if we ordered two main dishes and a small order of yang chow fried rice only. Oh by the way! I almost forgot to tell you that there are several fast food inside the Estero compound but the one that we frequently go to is the LGA fast food.